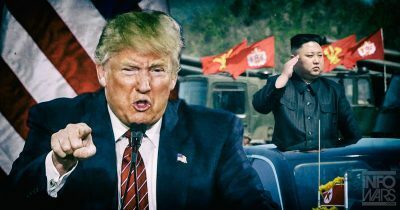 Selected Articles: Will Trump Forego the Summit with Kim? Corbyn’s Phoenix-like rise signifies the last gasp of the old social democratic contract between capital and labour, when the organised working class took a little more of the wealth they created, back via the social contract, not necessarily as money but principally via the social wage; the NHS; public housing, social benefits, greater state regulation of capital, nationalisations, some progressive taxation and so on. Last week’s massacre in Gaza would not have happened if organisations which the public rely upon to uphold international human rights standards had done what they are supposed to do and spoken out at an OECD Forum on Responsible Mineral Supply Chains in Paris in April, just days after Israel had, at that stage, gunned down and killed over 30 innocent civilians in Gaza. Why Did the US Sabotage President Putin’s Peace Plan for Syria? Secretary of State Pompeo’s direct and fiery demand earlier this week that Iran withdraw from Syria overshadowed President Putin’s indirect and polite request during last week’s Sochi Summit for the same, thereby putting Syria on the spot in having to publicly deny that any such talks were ongoing in order to “save face”, though the American strategy of sabotaging Russia’s peace plan isn’t as clear-cut as it may seem.